I haven't been anywhere this week to get fotos. These fotos were taken out the living room window. 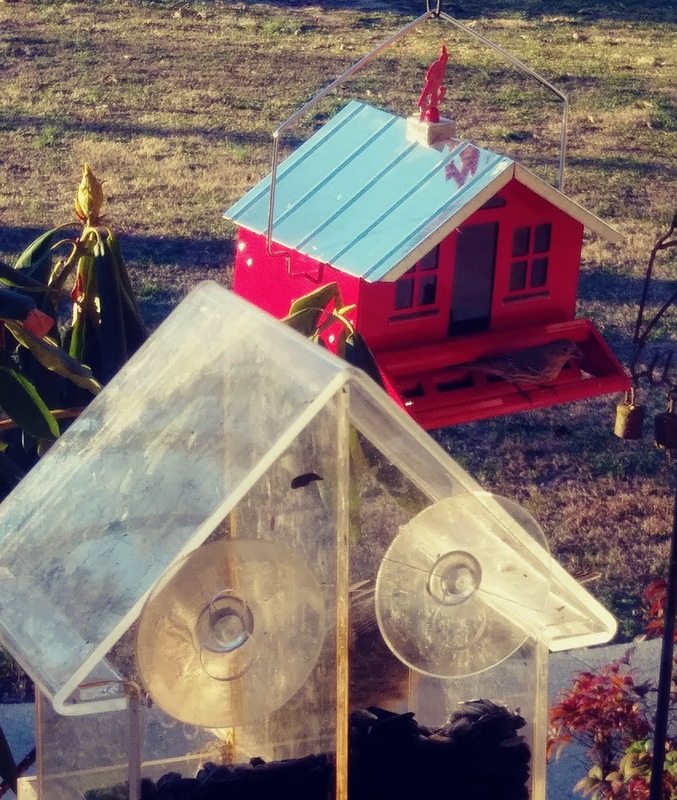 The birdies FINALLY found the red barn feeder! What great bird houses Debbie. 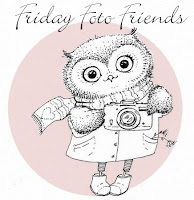 Just put my FFF post online. Have a blessed weekend. 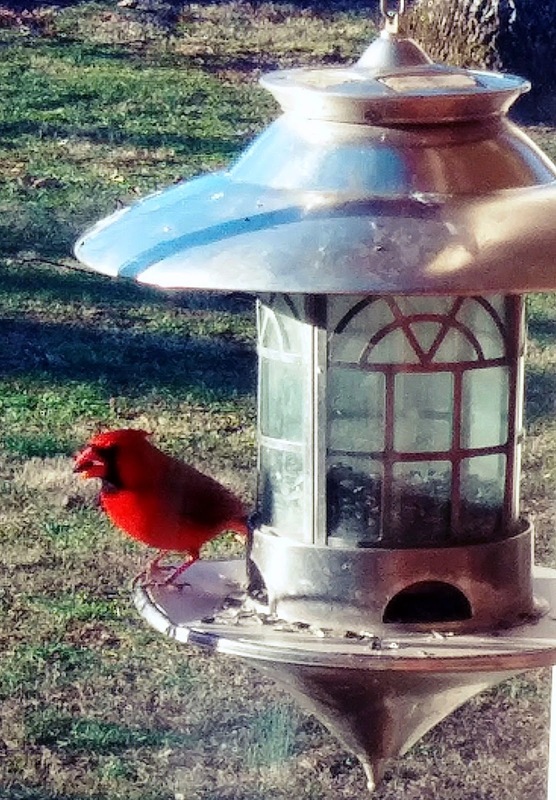 Oh, I LOVE the red barn feeder!! I know those little birdies are so happy to be "down on the farm" with you! You have such colorful and beautiful places for them to dine! What fun it is to go to the "Huffaker" Acres for dinner at the red barn!! Have a great day. Hope your date with your girl was marvelous!!! Can't wait to hear about it! You may need to write a supplement post today! Adore your beautiful winter header - hope you have a fabulous weekend! Love the red barn feeder. I need to get my feeder out real soon. I'm sure the birds would like some seed as the ground is covered with snow and we're going to get even more this weekend, I guess. I love Cardinals. That red bird feeder is so cute! Id love one just like it and I do need a new one. 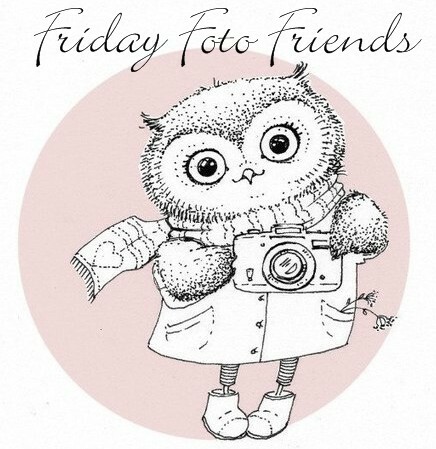 I am to late getting around to visit everyone but had to get my link here for Friday Foto Friends! 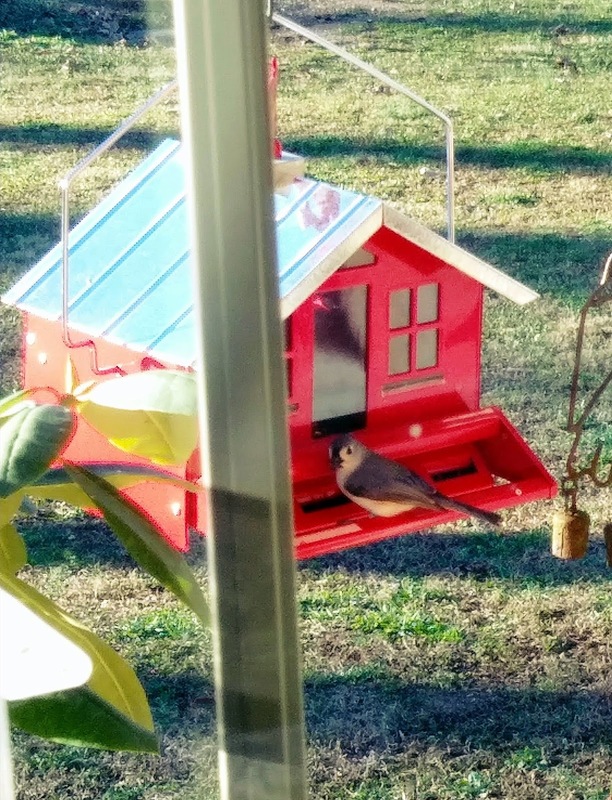 Your new birdhouse is really cute and I'm glad the birds have decided to visit! Those are so cool. Thanks for hosting and I hope that you have a wonderful week.